Although simple in concept the CVT is very difficult to explain, leading to some electronics experts to describe it as magic. Effectively the aim is to keep the Iron core of the secondary saturated, which keeps the voltage on the output winding constant. The primary winding needs to be unsaturated to prevent unacceptably high losses. This effect is achieved in two ways. Firstly the two Magnetic Circuits are separated but inter- linked allowing the transfer of energy from Primary to Secondary. Secondly the secondary circuit has a deliberate inductance introduced and is connected to a resonating capacitor. 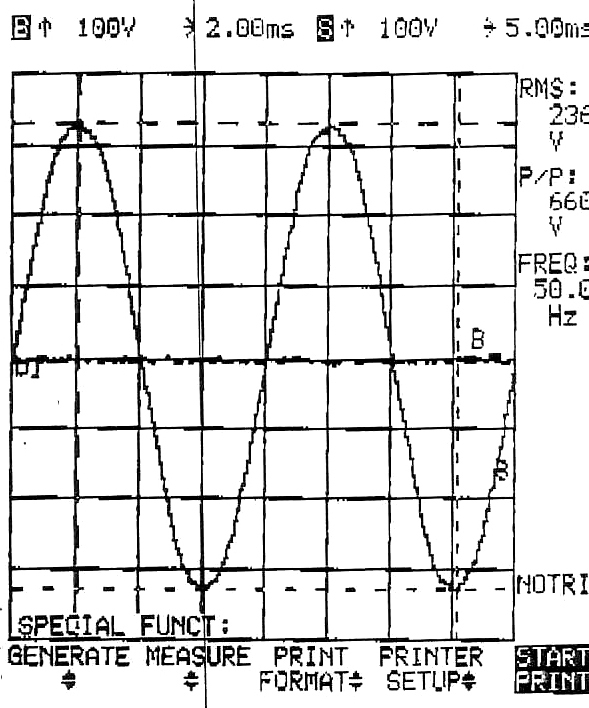 This LC circuit is tuned to resonate at the desired transformer frequency. The consequence is that the secondary part of the transformer runs saturated and the output voltage is constant. 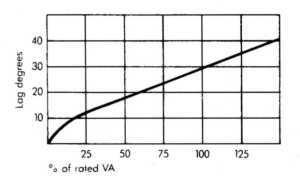 Mains voltage sags and surges are automatically corrected by a CVT. When faced with an extreme surge voltage such as a local lightning strike the power conditioner will present a low impedance to the mains to protect both itself and any connected loads. using ferro resonant transformer technology means that each power conditioner will always generate a pure stable sine- wave even when fed from a polluted mains or square-wave supply. Ferro resonant transformer technology provides waveform shoulder- lifting - the CVT is the kindest way to drive a switched mode power supply. Input surges are reduced prolonging life and conduction times are lengthened. In addition the CVT provides harmonic buffering and improved reservoir capacitor hold up for the inevitable supply micro breaks which occur with grid protection switching. Unlike some sensitive electronic stabilisers a CVT works in a very large range of conditions. Standard units can work at permanent temperatures of 40 deg C with 50 deg C not a problem for short periods, alternately a special design can cope with 70 deg C. CVTs will operate at minus 40 deg C although the heat generated by their operation means the transformer is soon warm to the touch. The CVT is designed to supply an overload of 150% at around 200% overload the output waveform collpases to near 0V, WITH NO HARM TO THE CVT, direct short circuiting for long periods of time is not a problem for the CVT, as soon as the short is removed it will carry on supplying useable power. Something for nothing: so long as at least 30% of the normal supply voltage is present the suitably selected CVT can provide adequate power for your critical load. The output stays within 5% from zero to full load, if a tighter regulation is required trade-offs can be made. At 50% load the regulation is about 3%. Between zero to light loading (3%) is the greatest drop in output, so a permanent light load improves the regulation further. 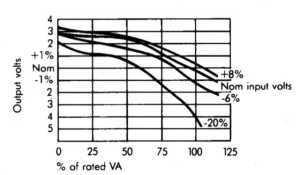 A Full to Zero load event may cause a momentary variation of 8% but the CVT settles in a couple of cycles. 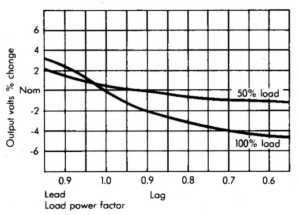 All units present a power factor to the supply which varies with output load. 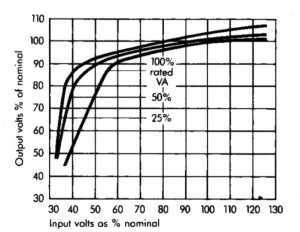 Small changes in the output voltage will be found in comparison to the setting with a resisitive load. 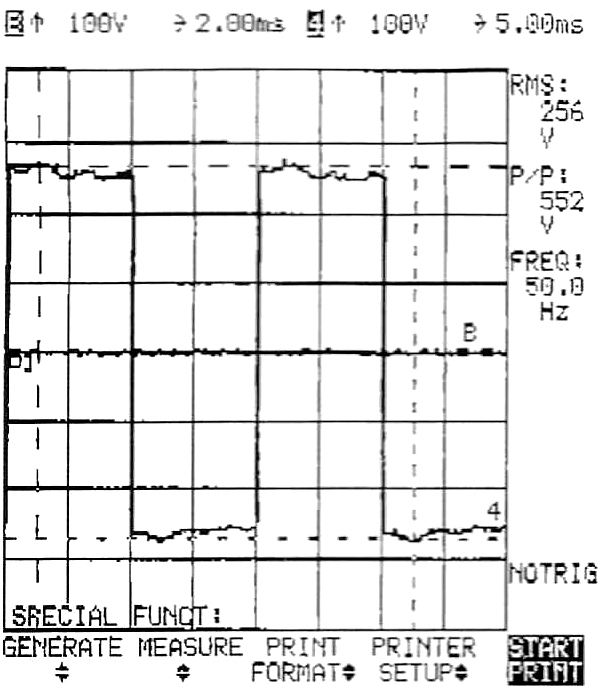 Here are actual scope waveforms showing the miracle of sine wave regeneration performed by a CVT. 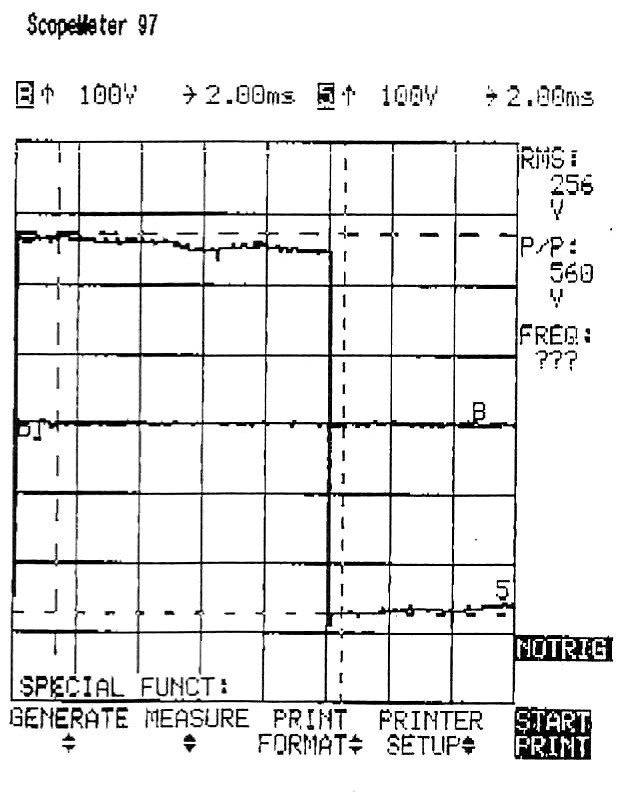 This application shows an input square wave with large harmonics content (THD approx 30%) and several spikes and other problems. The output waveform is a perfect sine wave. Because the CVT resonant circuit regenerates the waveform all input signals can be absorbed and output as a perfect sine wave. Constant Voltage Transformer (CVT) how does it work? AC stabilisation can be achieved using a simple magnetic device which has no moving parts. This is a process of producing a constant ac voltage from a varying ac voltage supply and involves the use of saturable reactors. The latter may be incorporated in a special transformer magnetic saturation being produced in a part of the magnetic circuit. The core is a three-limbed shell with a magnetic leakage path dividing the winding space. On the upper winding space is the primary and a compensating winding while the lower winding space carries the secondary which has a capacitor connected across it. 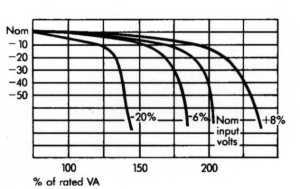 An increasing voltage applied to the primary produces an increasing flux in the main magnetic circuit and the secondary voltage increases proportionally to this voltage. The increasing flux produces an increase in the leakage reactance of the secondary and this approaches a value which resonates with the capacitor connected across it. 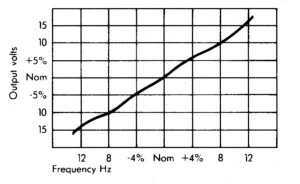 As the condition of resonance is reached the secondary current rises rapidly saturating the lower portions of the magnetic circuit. The flux due to the primary is diverted through the magnetic shunt and further increases in primary voltage produces little change in the secondary emf. 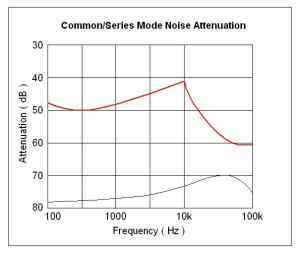 It increases very slowly and this is offset by the emf induced in the compensating winding on the upper portion of the core which is connected in series opposition to the secondary winding. Thus once the secondary is brought to resonance the output voltage from the secondary and compensating windings is constant and it is under these conditions that the transformer is used. The advantage of this form of stabilisation is that it can be applied to the heater supplies in addition to any HT supplies derived from it. 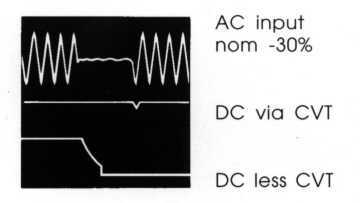 Owing to the non- sinusoidal waveform however readings taken with the usual rectifier-type meters are subject to error. 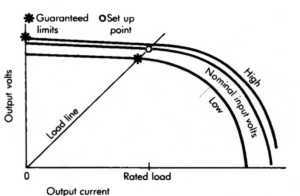 The compensating winding produces a small voltage which is used to 'buck' the output voltage. 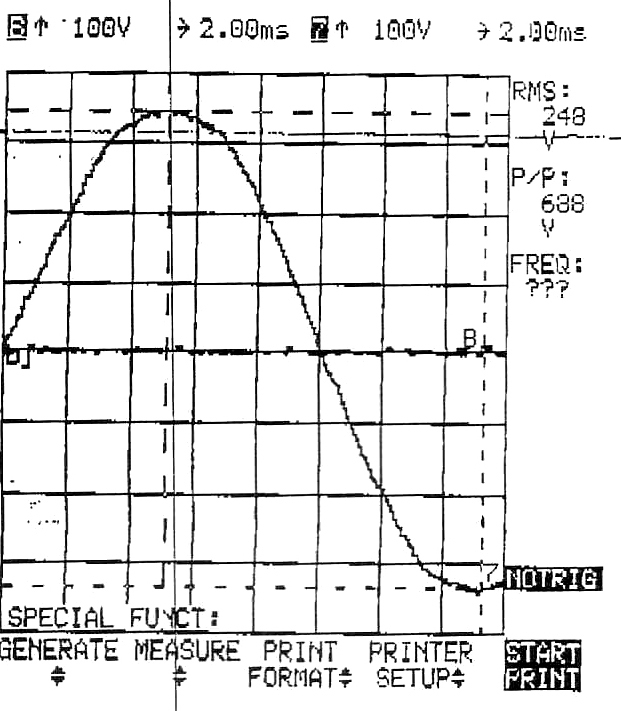 To produce a sinusoidal waveform a further winding is added which is coupled via a magnetic gap. This extra 'neutralising' winding can be arranged to provide a suitable amount of 3rd and 5th harmonics which when summed with the output 'square' wave above results in a sinewave. When lightning strikes enormous amounts of energy are dissipated. If the strike is in any way direct or near direct then most substances hit will be locally vapourised. Electrical distribution systems have special isolating devices to restrict the effects of lightning strikes on overhead wires. However overhead lines can pick up serious transients which will destroy sensitive electronics if the `spike' gets all the way into the equipment. 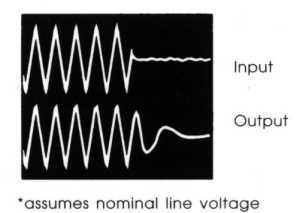 A typical lightning strike produces a waveshape which has a front edge of about 1.2µS and after 50µS the voltage will have dropped to half its peak value. Special test equipment is available which generates a 8/20 µS waveform which represents the lightning effect if the voltage is 6kV and the source impedance less than 2 ohms. 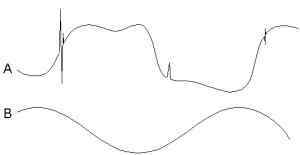 A further popular test is based on a 10/350 shape which is used in telecoms applications. It is not generally appreciated that office and domestic electrical distribution wiring will normally `flash over' at about 6kV which limits the voltage expectation from local lightning strikes. A typical `strike' may carry about 200 000 Amps which when applied to an earthed conductor will cause a huge rise in the local earth potential. This effect can cause quite large amounts of energy to be carried along local earth wiring. Particular attention needs to be given to this problem. See ICT wiring and considerations. Advance CVTs especially designed for computer protection provide one of the most effective barriers against lightning damage. The CVT has a magnetic circuit which becomes a very low impedance when fed with high voltage. If the unit is correctly installed with a protecting fuse or circuit breaker then the CVT will blow the fuse/breaker before damaging energy gets to the electronic equipment being protected. This means that the computer or other equipment may be turned off inadvertently but it will be protected from the resulting distributed energy from the lightning strike. Such energy spikes are relatively common. The only user action required is to replace the fuse or reset the circuit breaker and continue using the equipment. If the strike is of sufficient energy to damage the incoming distribution wiring because of a direct strike then anything may happen.